No matter what end of the law a video game puts us on, the police almost always have to look like a threat. The cars that enforcers of the law drive always give us the first impression about how well the law is upheld wherever the game in question is set. Let’s take a look at some of the baddest police cars in video games. used by real world police forces and nothing says “Behave” and adds a feeling of durability like a completely bar-covered rear section. 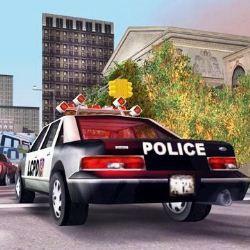 Even though there are only a couple of things you can change on it, it is perhaps the only police car in video games that can be customized by the player.